PETA has trouble with the fur coat. The red and white paint on the fur contain toxins. The reindeer are captive in cages in freezing temperatures and allowed out one time each year to work long hours. Santa is grossly overweight and is susceptible to a stroke or heart attack. Santa is promoting sprawl by living at the North Pole and his manufacturing facility is polluting the land, water and air. And what about black Santa? Santa supports drilling in ANWR because his delivery service needs the extra oil (he doesn’t really deliver presents worldwide all by himself). Santa uses nonunion, Chinese labor and undercuts other smaller stores by giving away his product. We can’t tell whether Santa is a Republican or Democrat. 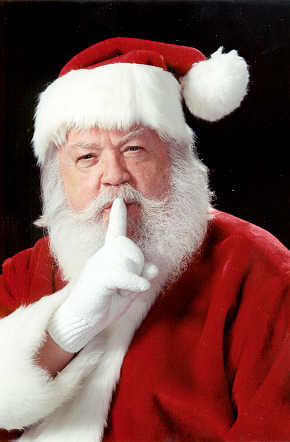 It is rumored that Santa is being subsidized by the U.S. government and is receiving special air clearances by the Defense Department. Congress is calling for an investigation. Clearly, the Record of Decision should reflect that Santa is a significant polluting entity.